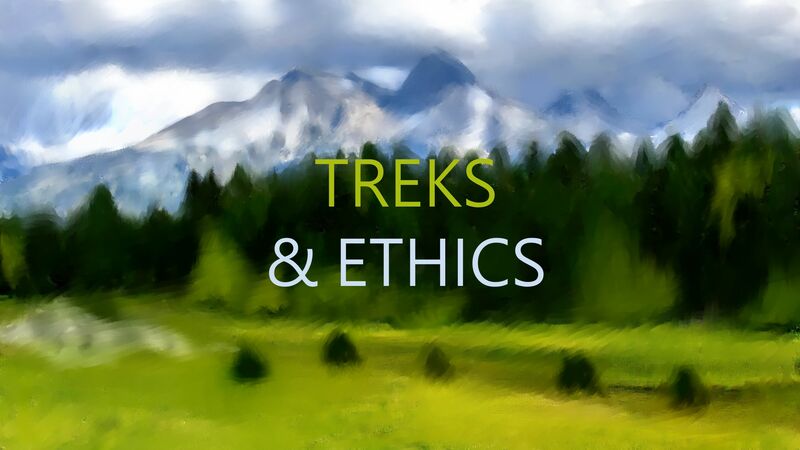 Let’s face it, our urge to get outdoors has ethical dilemma associated with it. 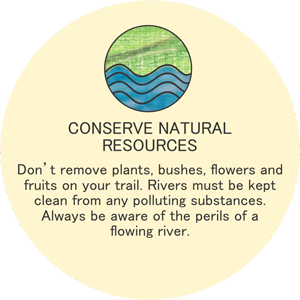 Outdoor recreation has many benefits at a micro level and macro level. Urban communities when engage with the outdoors and the nature, become more empathetic and become engaged with conservation efforts. Aside from accruing personal benefits of getting outdoors. 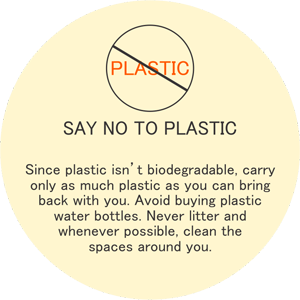 But as more of us get outdoors, we have begun to create an impact negatively, in fact at a catastrophically macro level. While we expect peace and tranquillity, the most popular locations have begun to feel like downtown malls with crowds, and the amount of garbage piling up is incredible. 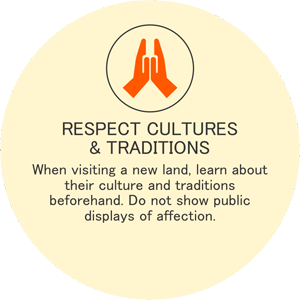 The pollution is not just environmental, but at a cultural level as well. 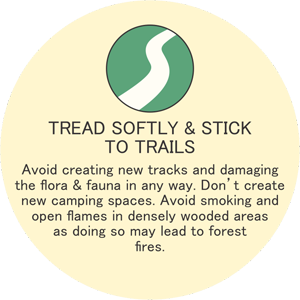 We spoke to the conscientious of the folks we look up to, and compiled a list of dos and don’ts for the outdoors to help maintain a balance. Some of these may sound moralistic. But gone are the days of saying it softly. INDIA’S EXPEDITION / TREK OPERATORS TRUST GIPFEL TENTS. HERE’S WHY. 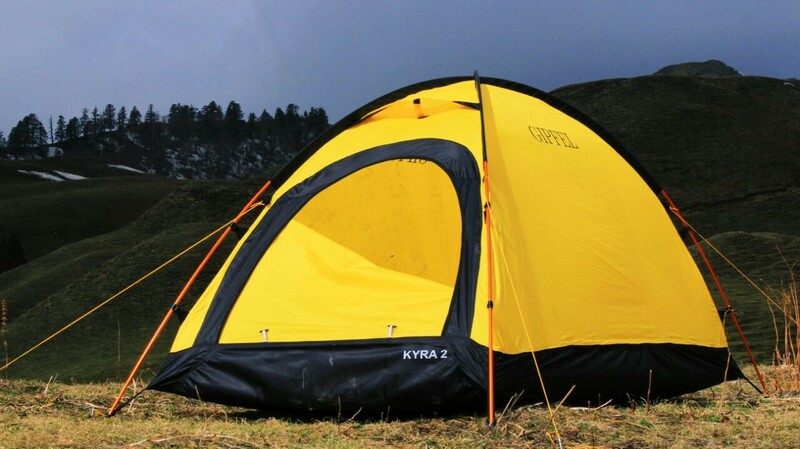 At Gipfel’s Tents division, we think, dream, and breathe tents. When we started making Tents, we wanted to create world-class products that could withstand the rigours of Himalayas at prices that weren’t inflated by the economics of shareholder value and outsourcing. 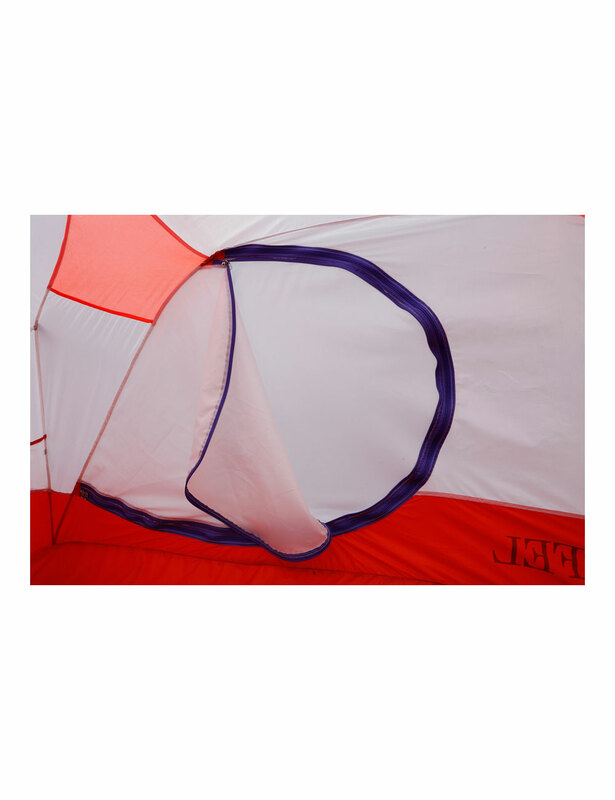 Our tents are made inhouse, designed with thought, put together with love and quality components, and priced right. 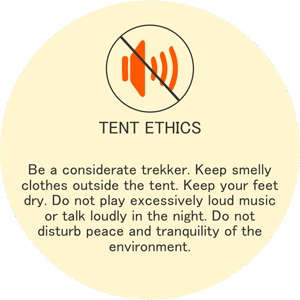 Here are some key features about our tents. Anyone with experience with food, knows that good quality ingredients are the foundation to a sublime gastronomic experience. As with food, good tents deserve only the best. 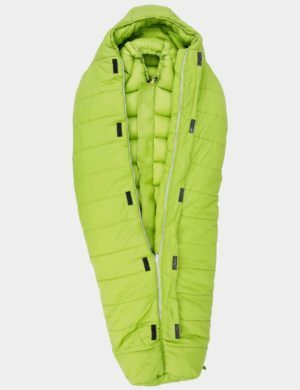 Our poles are sourced from DAC in Korea, our fabrics from Taiwan, we use YKK zippers, or the tent guy line tensioners are amongst the best design. A case in point with the tent poles, we largely use aviation grade DAC® Aluminium poles (7000 series) for our tents. DAC Aluminium poles are world’s best poles, will last you a lifetime without abuse, are light, and can withstand heavy winds. And yet, we provide a 5-year limited warranty on them for non-commercial use. Many of our tents are roomy and airy. Orion and UFO series of tents have an intelligent design that allows the walls to remain vertical, and the roof is close to horizontal. The result is that the tents have more space and headroom. While this marginally increases the weight, our customers have come back to tell us that their stay was very comfortable. Right from the design stage we ensure that the tents are sufficiently ventilated. 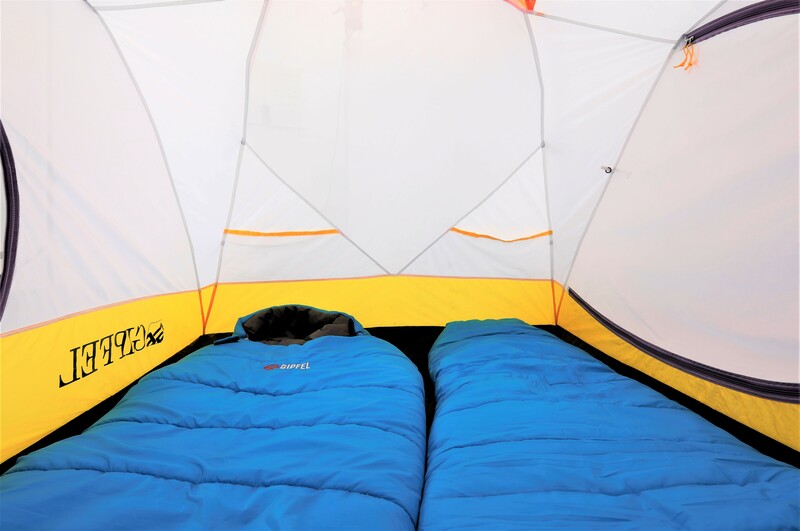 Our 4-seasons tents have double-layered doors on either side of the tent. One layer is made from breathable polyester mesh while the other is made from non-breathable fabric. 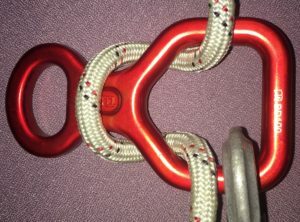 This allows for flexibility of options to keep the tent breathing. 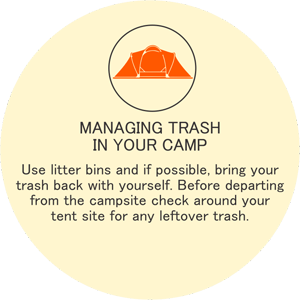 This is particularly helpful in the case of 4-seasons tents with capacity of 3 persons and more. 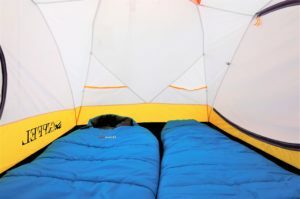 These tents are most susceptible to condensation because of the sub-zero surrounding temperatures and the sheer amount of vapour present inside the tent resulting from breathing. 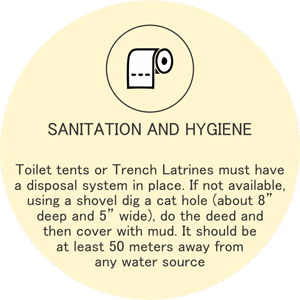 In our single-wall tents we use water resistant and breathable fabrics, and intelligently placed ventilating chutes. If you visit our Tents’ division, located an hour and half from Delhi, we are abuzz with activity; there is a palpable energy and a sense of urgency, but we insist, and we love it, when our customers visit us at our factory. This not only helps us understand our customer needs better but also the conversations eventually convert into exchange of mountain stories and experiences over a cup of hot coffee. But that’s not it alone, convenience stems from the fact that we are in India, and we manufacture locally (not outsourced) and offer repairs and maintenance on our products. Despite the best quality materials there are always external factors, as in the case when a customer reported a punctured groundsheet because a trekker wore crampons inside a tent. (Obviously, we repaired that tent). Our turnaround time is 1 week or less for any repair. Additionally, we have custom built tents to our Customer’s requirements. Our customers look at us as integral part of their business logistics support! We are constantly thinking of making our customer experiences better. We are not just making ‘Tents’, we are creating an experience for you, through our Tents! 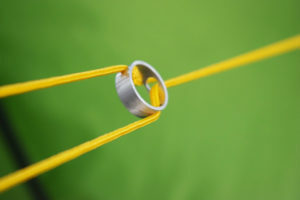 Design, materials, quality of manufacturing are all great, but small details such as the Jake’s foot (for inserting tent poles into the ground sheet) that we introduced to India or our new guy-line tensioners which are again revolutionary for India; these details go a long way in making your camping, bivouacking experience more fun and efficient! The biggest advantage we have amongst world’s Tent makers; we aren’t located in some remote corner of a large country in an industrial complex removed from end user experience. We are four-hour drive away from the mountains! And the biggest mountains of them all; Himalayas! 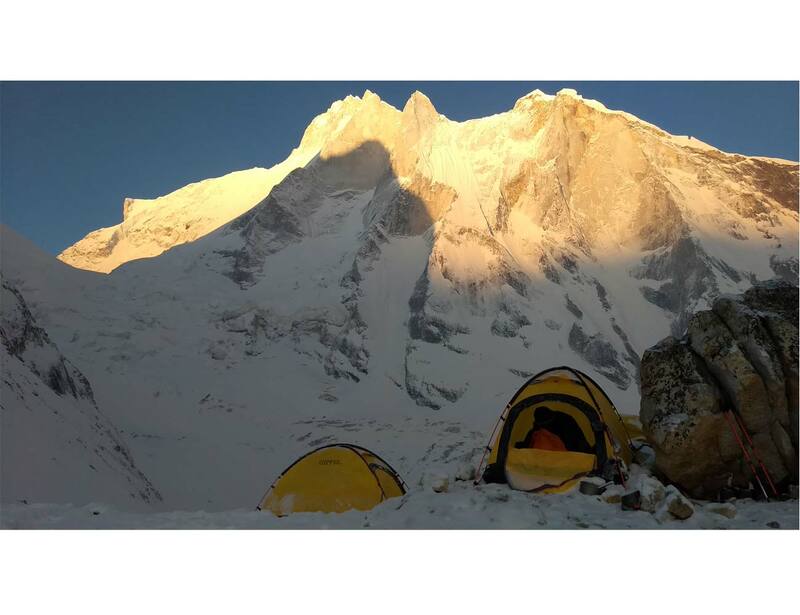 Often you will find our testing teams (invariably, the very people who are creating these tents) making a dash over the weekends to the Himalayas to test new designs. But we also test our tents in Sahyadaris and Deccan landscapes to get a wider perspective. 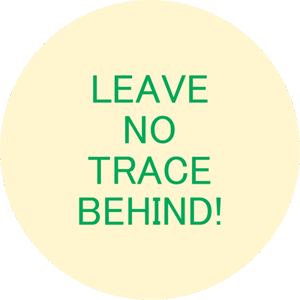 Additionally, we have a network of friends and expert users whose observations are carefully documented by our inhouse team. We value the feedback and act upon it quickly. It is not without any reason that we stand behind every tent we make. 7. 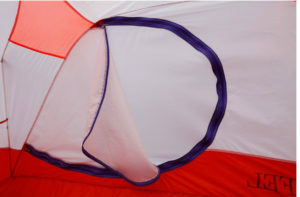 Fully seam taped tents: We seal the seams carefully to ensure water tightness. Additionally, the threads are water repellent and seams are lap felled. 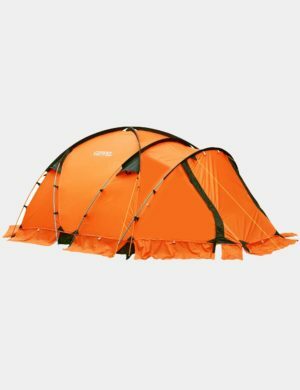 How do we test our tents? I was training on an ice-wall in Dokriani Bamak glacier, when suddenly debris started falling from above. Apparently the ropes dislodged a few frozen rocks from the ice. I heard instructors shouting “Watch out” that did draw my attention towards them but I could not see the rocks against the sun. A rock banged on my helmet and another one hit my wrist. Injuring my wrist was not a big issue but had I not been wearing a helmet, the rock would have crushed my skull. These things happen so suddenly that you don’t have enough time to move away from the fall line. Helmets aren’t necessary… are they? It depends from person to person. For some, the answer is no but for most the answer is, definitely yes! 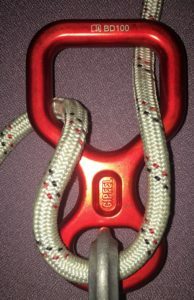 Any reputed mountaineering and climbing institute does not allow its climbers as much as even walk on moraines without wearing a helmet, let alone climbing without it. 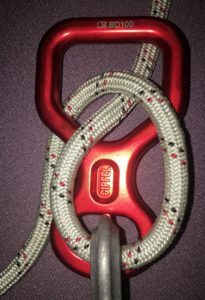 Climbing is not just about body strength but rather techniques. It is also about taking calculated risks and making informed decisions. Any climber, who risks his own or anyone else’s life by not wearing a helmet, is often considered irresponsible. Such situations are not uncommon to come by, in which we see a climber climbing without a helmet but the spotter/belayer wearing one. So eventually the decision to whether or not wear a helmet varies from person to person. According to surveys conducted by the British Mountaineering Council, most injuries to climbers happen on the lower leg but most of the fatalities are at least partly due to head injuries. 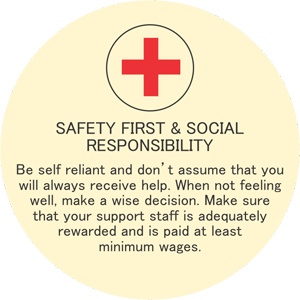 Carefully weigh up your risks and then make decisions. All it takes is one bad day to indelibly scar you for life. A hybrid helmet in India does not cost much but can save your life. That can’t happen to me….could it? 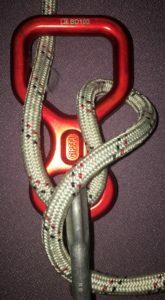 Two most common scenarios for head injuries during climbing are given below. First thing that comes to mind is being hit by debris in the form of rock, ice or grit. But it could be worse. 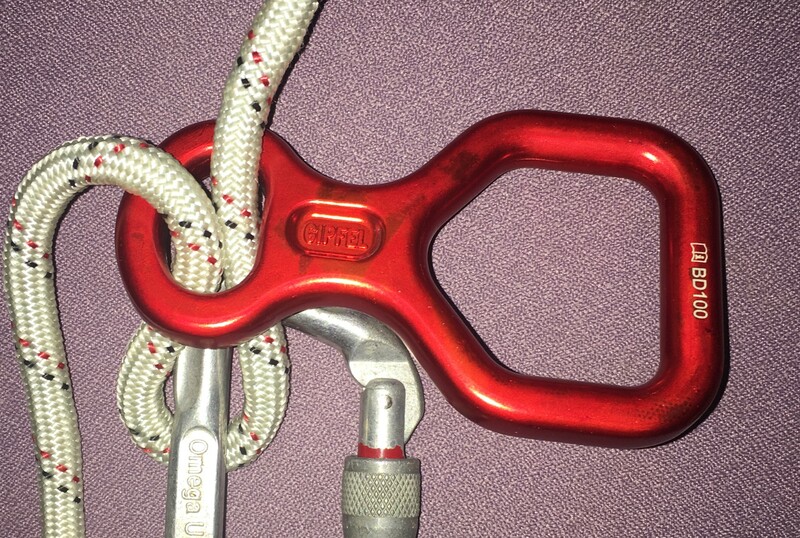 It can even be rucksacks, ice axe of another climber, pitons, anchors or even climbers themselves. Less likely but not impossible are injuries due to impact on falls. 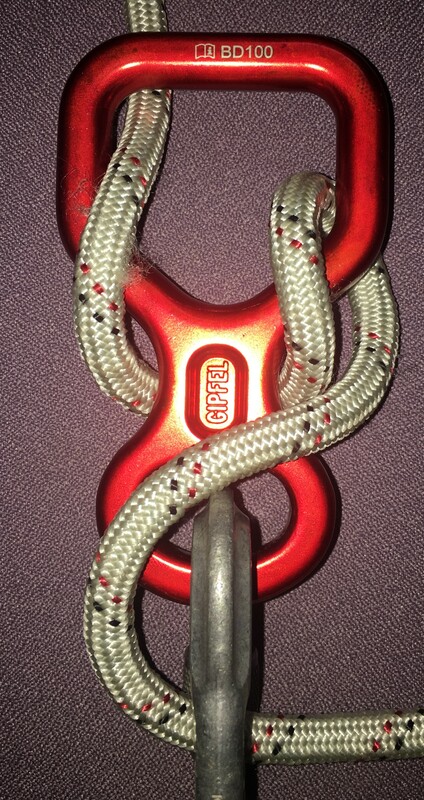 This could be because of tripping over a rope or losing balance while abseiling. The possibilities are endless. If the climber falls head down and from a great height, that could almost always be fatal. Helmets don’t look cool…do they? Well, now most of them do! The hybrid helmets these days come in beautiful designs and colours. Other than that, wearing a helmet shows how responsible you are as a climber. Hybrid helmet is an all-rounder. The combination of hard shell and EPS foam lining offers greater comfort and greater protection compared to the other two types. It would be even better if the foam extends all the way down till the rim of the shell. Unlike regular shell type helmets that only works best for centered impacts, these kinds will protect you even during off-centered impacts. Most helmets have a rotatable adjuster on the back to adjust the fit. The chin-strap should also be adjustable. A good quality hybrid helmet offers all of these features and has a higher strength to weight ratio. The helmet should be snug on your head and shouldn’t slip. This happens the most while sweating and walking. A Helmet that makes your head too warm may cause too much of a problem than just discomfort. At best it can lead to a reduction in your performance. At worst, it could lead you to making errors in judgement that causes injuries. A good ventilated helmet can have a much larger positive impact on your climbing than commonly believed. Vents allow for a passage of air that keeps your head cool and dry. However, at higher altitudes they may also create a lot of noise because of high winds. But the benefits of having vents more than make up for this limitation. Do check whether headlamp attachments are provided. They are best suited for mountaineering. The price of the helmet depends upon their type and properties. Generally, hybrid helmets are expensive because of their durability and impact resistance. Gipfel Alpine Helmet is very competitively priced at Rs. 2,800 because they are locally produced. The applicable standard for testing is EN 12492. The price of a helmet can go as high at Rs. 5,500 depending upon the manufacturer and helmet’s features. So although wearing helmet is optional and not the first priority, you’d be far better off wearing it yourself and insisting others on wearing them too. Our current solution for India for cooking stoves is an alcohol burner. 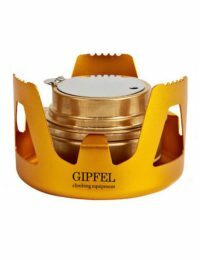 Gipfel Portable Alcohol Burner is light, leak-proof and very well built. Importantly, we also chose this solution, because alcohol stoves provide a good balance between price and availability of fuels locally. So, what type of alcohol should be used and where could you find the same? Denatured Alcohol, also known as methylated spirit, is ethanol with additives to make it unconsumable. Typical additives include isopropyl alcohol, acetone, methyl ethyl ketone, and methyl isobutyl ketone. Pure ethanol burns best but is harder to find in India. You could get 99% ethanol, or from Industrial suppliers. Methanol burns well in an non-pressurised stove. It will also work well at lower temperatures. However, the slightly toxic nature of the fumes needs to be considered for extended use. One could also consider creating a gel form out of Methanol to avoid it leaking. Rubbing alcohol is either isopropyl alcohol or ethanol-based liquids. Some form of it is also known as surgical spirit. Rubbing alcohol is less efficient than either of the above three alternatives. The amount of fuel requirement is subject to the efficiency of the fuel, altitudes, and temperatures. Since, we are still experimenting with the efficiency of the fuels, we have seen anywhere from 90 ml per day requirement for a single person’s requirement to 45 ml, depending on whether it is Rubbing Alcohol to pure Methanol. 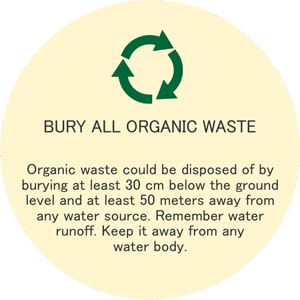 For now, we would recommend that you carry 200 ml for a day’s requirement for two people. We will keep this blog updated on our findings. A Figure of Eight Descender is a versatile tool, and here are some modes of usage. Please note, that this is not a comprehensive instructional, and many nuances of using a Figure Eight Descender maybe missing in this limited scope article. 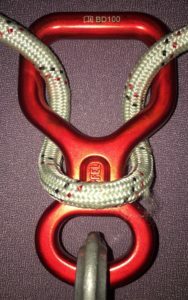 Figure Eight is primarily a descender. 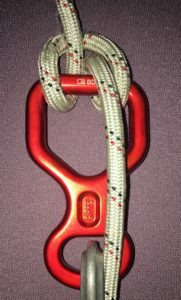 While it’s primary purpose is not belaying, it has adequate friction for top-rope belaying in Sport Mode or Munter Mode. 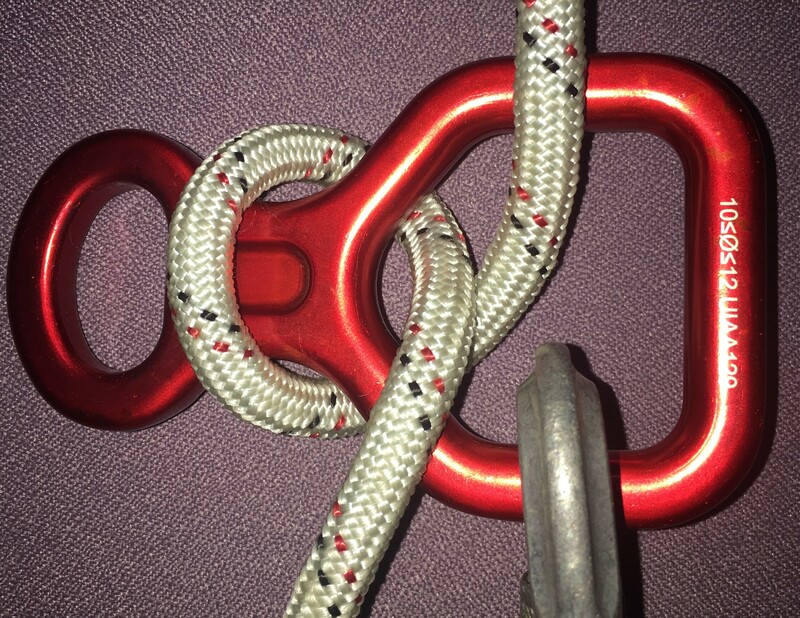 For Lead Belaying, only one mode is recommended, and that is the Sticht Mode. Below modes, provide various levels of friction. This is the most common or the standard mode for descending. Please note, that the rope around the neck should pass from the front, or facing the climber/descender. 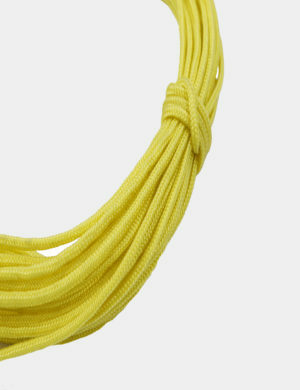 The rope passing from behind, creates a high risk of Lark’s foot or girth hitch. When the rope passes from behind, it can ride up when encountering an obstacle, and form the Lark’s foot. Lark’s Foot or Girth Hitching risk is as shown in the next image. This locks up the device, and the operator wouldn’t be able to descend in this mode! NOTE: Here we are only talking about the wedge type expansion bolts. How do rock anchors fail? 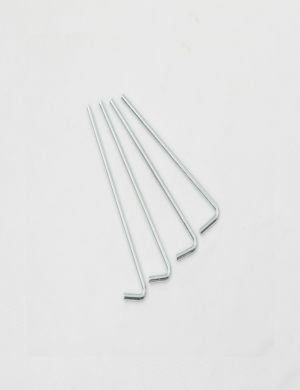 A rock anchor assembly mainly comprises of a Hanger and a Bolt. 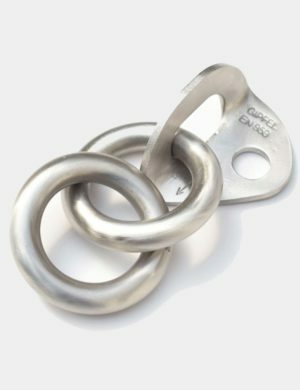 Rock Hangers that are made from Stainless Steel (304 or 316) are very likely to have a minimum breaking strength of 25-28kN. 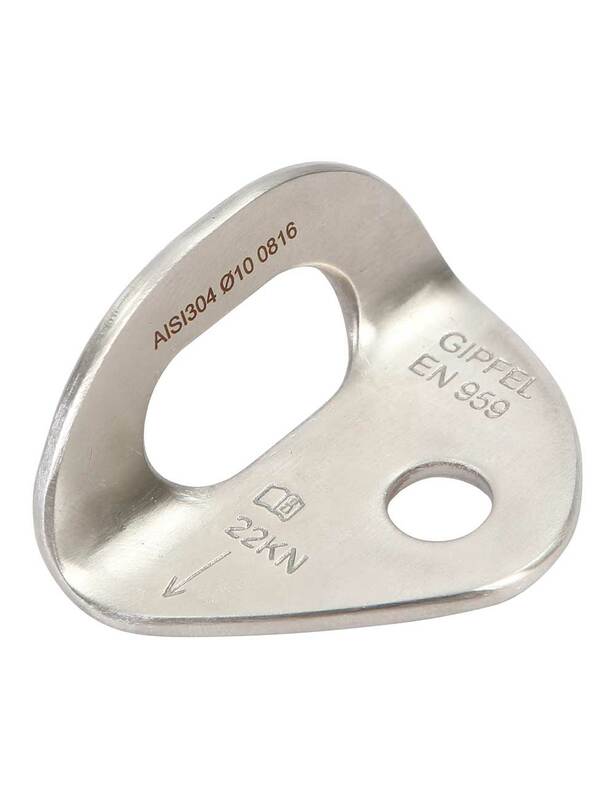 Gipfel Dynamo anchors are rated at 25kN but in actual they may not break until they are loaded till 28kN. It is highly unlikely that a falling climber will ever achieve this kind of load. So, a hanger breaking is not our concern. Anchor bolts, however, are. The most commonly used wedge bolts in climbing are M10 and M12 of varying lengths. The Tensile and Shear strengths of a reasonably made Wedge Anchor bolt will be above the breaking strength of the Hanger itself. So one may think they do not have to worry about anything while bolting a new rock. Sadly, this is not the case. A wedge bolt is only as strong as the rock it is holding on to. 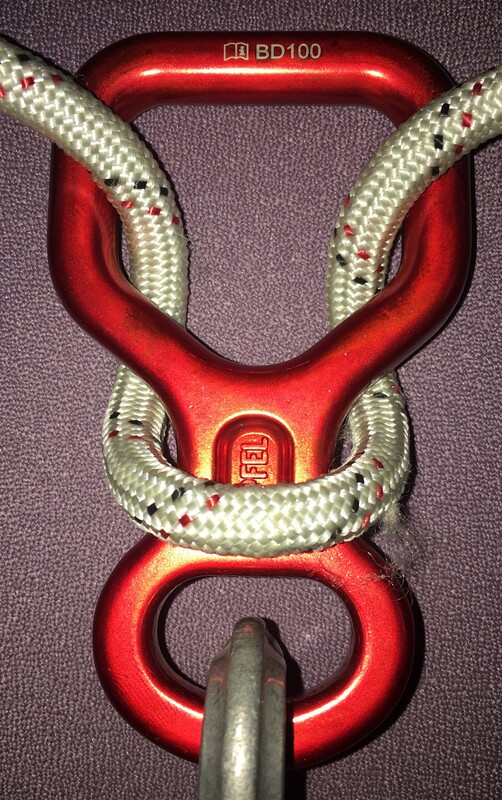 If the rock crumbles too soon, the wedge anchor can pull off from the rock at lower loads. In order to understand this, let’s see how a bolt works. After drilling an appropriate sized hole in the rock, one needs to hammer the bolt inside it. When hammering it inside, make sure that it does not become flush with the surface of the rock. There must be just enough threads left outside the rock surface to mount the hanger, washer and the nut. Now tighten the nut. When you do so, the wedge bolt is pulled outside the rock with each turn. This causes the innermost tapering wedge part of the bolt to pull outside and pass through the expanding sleeve causing it to expand. This expansion causes the wedge sleeve to push against the surrounding rock surface. Now the friction between the sleeve and the rock surface caused by this action is solely responsible for the holding force of the anchor. What if the rock is soft? 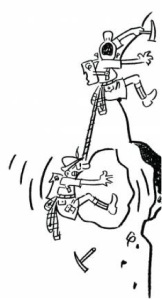 If the rock is weak, flaky or crumbly, then the holding force discussed above will be too much for the rock to bear. Upon application of load, the bolt may crack the rock surrounding itself and thereby releasing the anchor. When a bolt is subjected to an Axial Load, a shear force acts on the concrete or rock surface in a form of a cone. PULL OFF STRENGTH OF THE BOLT = SHEAR STRENGTH OF THE CONCRETE CONE. THE SHEAR STRENGTH OF THE CONCRETE CONE IS DIRECTLY PROPORTIONAL TO THE SURFACE AREA OF THE CONE AND THE COMPRESSIVE STRENGTH OF THE ROCK. 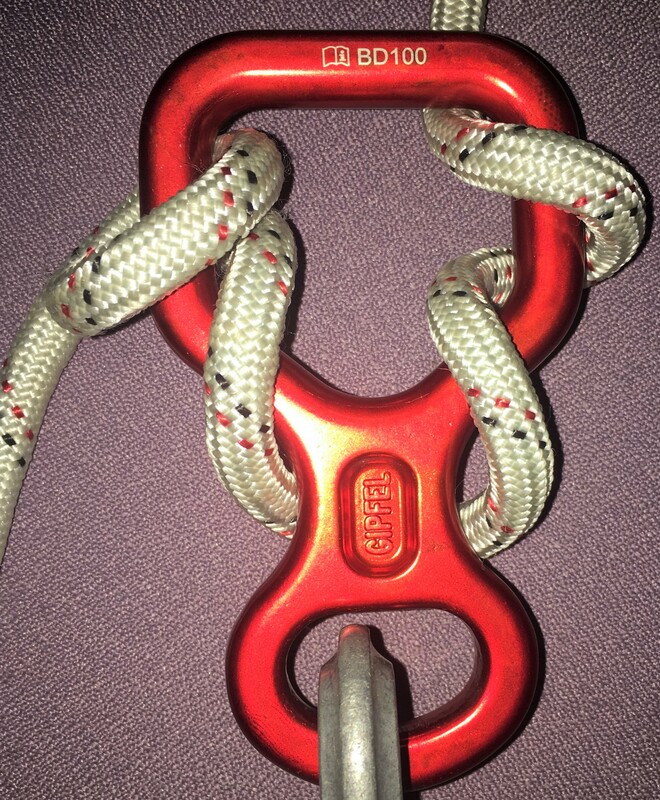 YOU OBVIOUSLY CANNOT CHANGE THE COMPRESSIVE STRENGTH OF THE ROCK YOU ARE CLIMBING ON, BUT YOU CAN INCREASE THE SURFACE AREA OF THE CONE BY USING A BIGGER BOLT LIKE M12. DOING THIS WILL INCREASE THE SHEAR STRENGTH OF YOUR CONCRETE CONE. Using a bigger bolt (larger diameter and bigger length) will increase the shear strength of the concrete by increasing the surface area of the shear cone. An increase in length will increase the ‘H’ value, hence, increasing the surface area of cone. A bigger diameter will in turn increase the vertex angle of the cone, thereby again increasing the surface area of the cone. In order to test the suitability of our M10 and M12 bolts on different rock types and to prove the above, we ran tests on several samples of concrete with varying Compressive Strengths. At the end of the test we had wasted 25 bolts but the results were very informative. For the sake of convenience, we will only discus the results of the test we ran on a ‘weak’ sample of concrete with compressive strength of just 11MPa as well as on a ‘strong’ concrete with 50MPa compressive strength (as specified by UIAA). The pull out strength of our bolts in different concretes are given below. THIS TABLE SHOWS AVERAGE PULL OUT STRENGTHS OF THE GIPFEL BOLTS IN DIFFERENT CONCRETE TYPES. 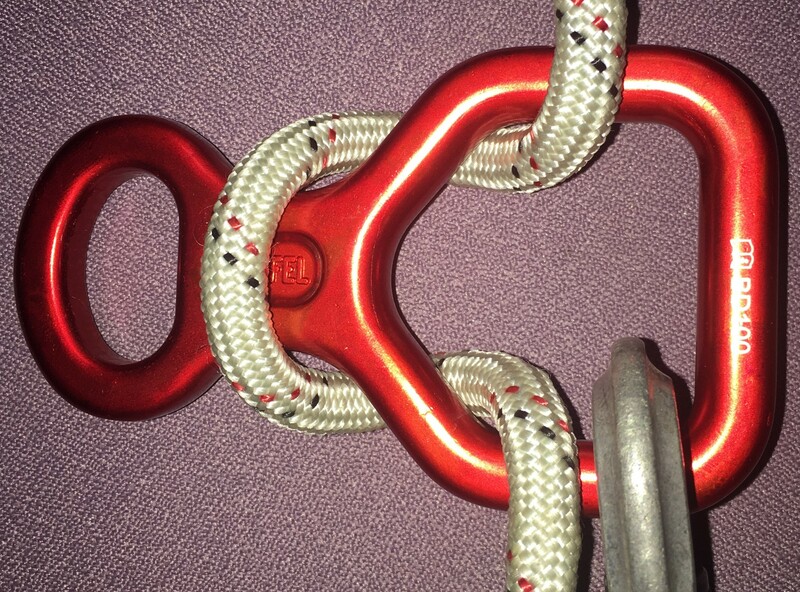 UIAA’S MINIMUM REQUIREMENT IS 15kN BUT ON 50MPa CONCRETE. 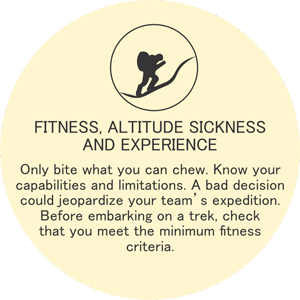 Here are a few guidelines that although not complete points out major important things to bear in mind while bolting a new route. 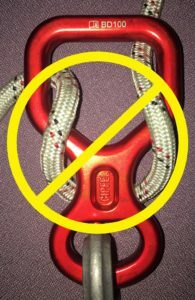 If the rock seems flaky and crumbly, do NOT place an anchor there. Look for another area. If the rock is a softer kind such as Limestone and Sandstone, NEVER use the M10 bolts. Use M12 for soft and medium strength rocks. M10 is only suitable for high compressive strength Granite and Gneiss rocks. The distance between two successive bolts should be at least a distance equivalent to 15 times the diameter of the bolt. Also any bolt should at least be 20 times the diameter of the bolt distance apart from any blind edge of the rock. Not doing so can reduce the strength of the cone. 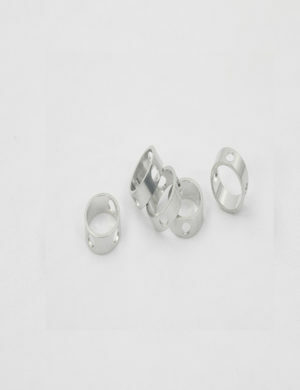 The length of the drilled hole must at least be equal to the full length of the bolt. If the bolt can no longer be used, you can hammer it all the way inside the rock and make it flush with the rock surface so that it doesn’t protrude out. The drilled hole must be properly cleaned from debris and dust before placing the bolt inside it. The dust and debris can reduce the holding friction between the expanding sleeve and rock surface.